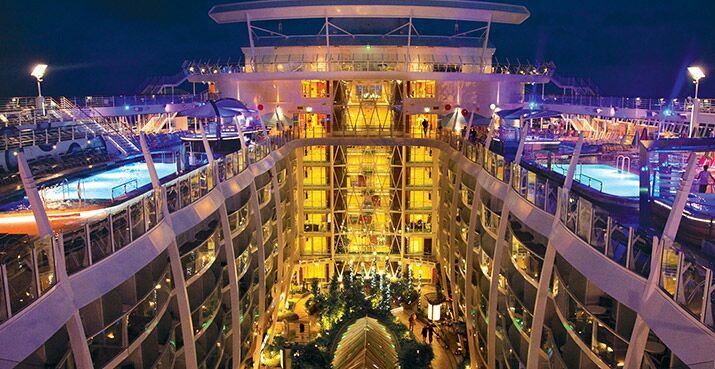 A cruise is one of the best holiday experiences you can have. It’s a hassle-free holiday with everything organized for you. Whether you want it to be adventurous or just plain relaxing – the choice is completely yours. As a single man, a cruise holiday can be even better. I mean, there’s travel, there’s adventure, there are often lots of great parties and usually single women to meet as well. Not all cruises are made alike though. Some may leave you bored to tears if you don’t pick right. So, to make your job easier we’ve done the research and found six of the best holiday cruises for single men (solo or with a group of friends). Here’s why we think these cruises are totally worth doing. There is a reason Bon Voyage named the Norwegian Getaway the best cruise ship for singles 2014. 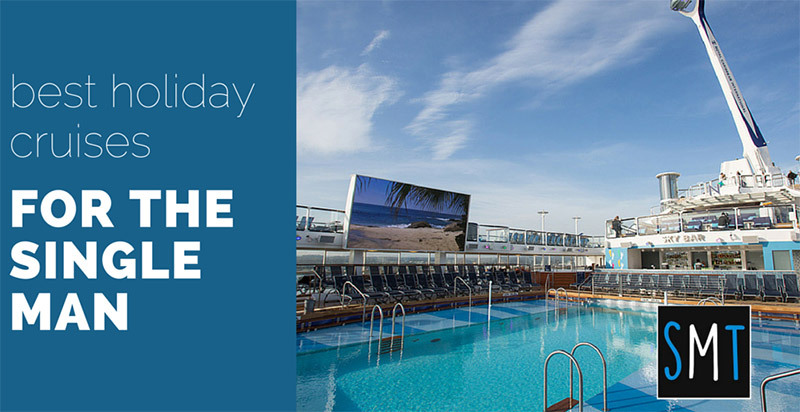 Norwegian is famed for building ships that go all out and nothing was spared on the Getaway that celebrates the home port of Miami either: from kicking off your day with Cuban coffee to capping it off with a Latin dance concert (or a mojito at an outdoor bar). Just a handful short of 4,000 passengers, Getaway offers a 7-day cruise to the Eastern Caribbean with weekly departures from Port Miami anchoring in St. Martin, St. Thomas and Nassau in the Bahamas. There is plenty of room to roam and explore and those who need to be by themselves will appreciate some serene moments aboard. It boasts 59 studio cabins for the single traveler secluded in a keycard-controlled area with a 2-story atrium private bar. Singles are assured of a number of incredible activities to partake in, be it on board or ashore. 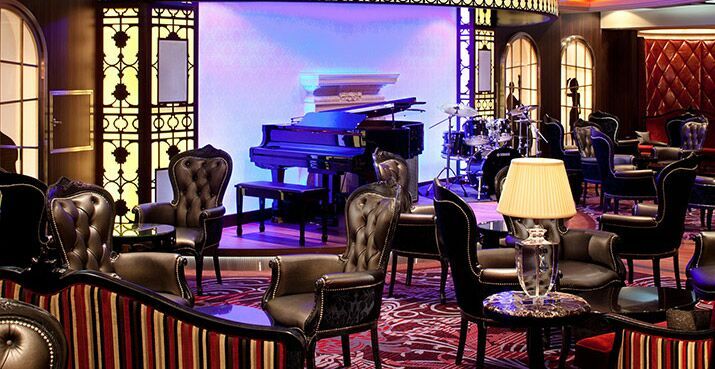 Each evening, the ship has a mix-and-mingle hour in the Studio Lounge that seeks to hook up singles (over drinks, of course). And then there are the three exotic docking ports! 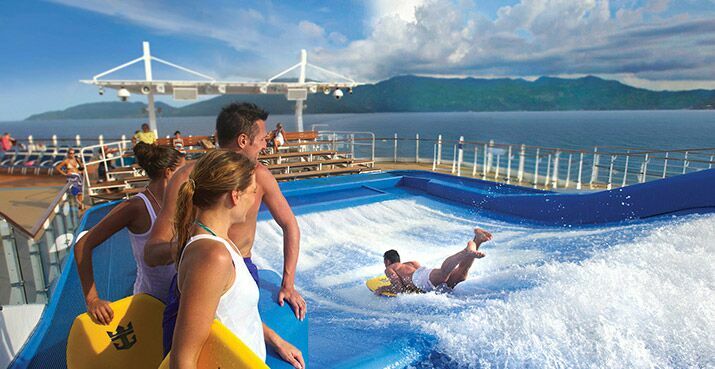 With over 3,600 passenger capacity, the Carnival Breeze offers plenty of programs and activities. There is a plethora of dining venues to choose from, including specialty restaurants for you to enjoy upmarket meals onboard the Breeze. Throw in a steakhouse, BBQ spot, Italian and Indian eateries, boardgame rooms, a comedy club, 18-hole mini golf course, and multiple-themed bars (from open deck to karaoke) with top-notch service and you begin to understand why they christened it ‘a carnival breeze’. If you are the price-conscious, unpretentious, highly social cruiser, then this is more your kind of thing (those who prefer more solitude will ruin their cruise experience). It’s not named the ‘allure’ for no reason. 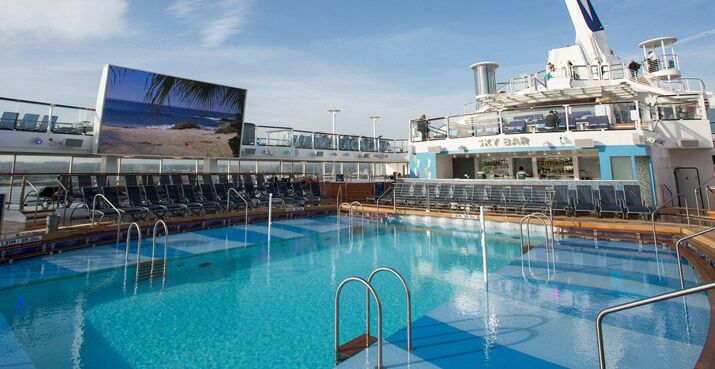 The Allure of the Seas is the largest cruise ship in the world (a title shared with Royal Caribbean’s Oasis) but don’t be fooled into thinking you’ll be jostling for pool seats onboard the 6,000+ seater. The Allure may be smallville, but they sure did a heck of a job laying out the public spaces. Everything here is colossal so much so that you may not see the same faces twice: from the boardwalk to the over 20 dining establishments to the margarita glasses. It’s comedy you need? Sure thing, lots of it you’ll get, and probably mix it up with tons of other live entertainment and parties. 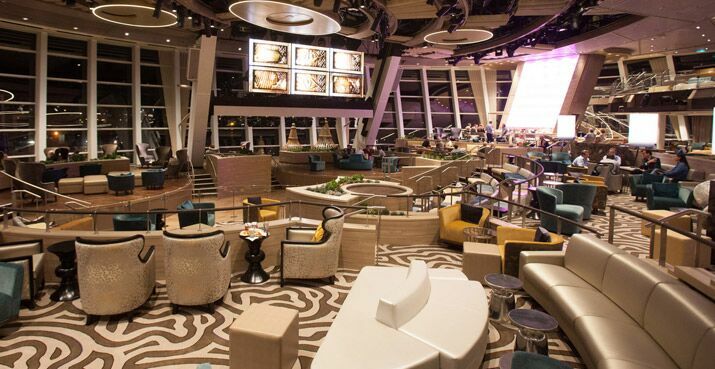 Heck, you can even club-hop what with the abundance of lounges, bars and nightclubs. The Ventura is one of the finest jewels in the P & O fleet and this, vast yet serene, floating 5-star hotel will offer you a glimpse of the Caribbean, the Mediterranean and Europe in unequaled sophistication and style. With facilities ideal for families, the Ventura is not short of amenities and activities for the single male traveler. Upmarket entertainment hosted in the theatre is regular, so is cinema, dance and revue shows and twin cabaret lounges for comedy. And oh, the Metropolis bar is a must: it offers awe-inspiring panoramic views of the ocean and place to be if you want to catch a first glimpse of the looming destination. It has been touted as the most technologically-advanced cruise ship man has ever built: the world’s first smartship. If that’s not enough, this magnificent spectacle spans the length of five Boeing 747s, drifting it into third spot on the list of largest ships, all of which belong to the Royal Caribbean. 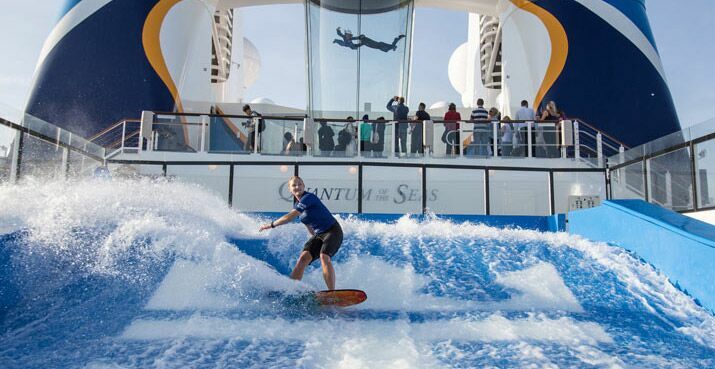 It’s not all look without substance the Quantum of the Seas. It boasts a passenger pod that offers a 360-degree panoramic view of the ocean, onboard dodgem cars (first at sea), roller skating, skydiving (first at sea), circus school with flying trapeze, multiple shops, 18 restaurants and bars to keep you occupied. The architecture in this futuristic is nigh humanly unimaginable: a 2,980 multi-million dollar art collection. But perhaps what will leave you short of breath (literally) are the robotic arm bartenders that shake and stir your social lubricant just the way you like it. This technology is the first of its kind on the planet, and it resides on the Quantum of the Seas, a wonder of a ship to behold. How much better could life get? The Carnival Splendor is another cruise liner that lives up to its billing. Its 40,000-sq-ft Cloud 9 Spa boasts different-themed beauty treatment rooms, thalassotherapy pool, thermal suite, salon and an ultra-modern fitness center. You can take a dip in one of four pools, enjoy a round of golf and stay active on the Sports Deck. If you would rather pass the time with a good movie, the 12-by-22-foot behemoth of a screen will guarantee a swell time. When it comes to dining, you have a 24-hour pizzeria grill, a deli, sushi bar and coffee shop to choose from, not to mention the ship’s two main dining rooms and reservations offered at the Pinnacle Supper Club that prepares steakhouse favorites and gourmet cuisine to individual tastes. And in case you strike it lucky with a mate, there is room service too – complimentary, ensuring you make the most of your short time on board. So have we convinced you to go on a single man’s cruise holiday yet? Which one do you think you’d like to experience?